No bad days @ La Casa de Sofia. Whether you're traveling solo, with a lover or a group of friends... there's a slice of paradise waiting for you. 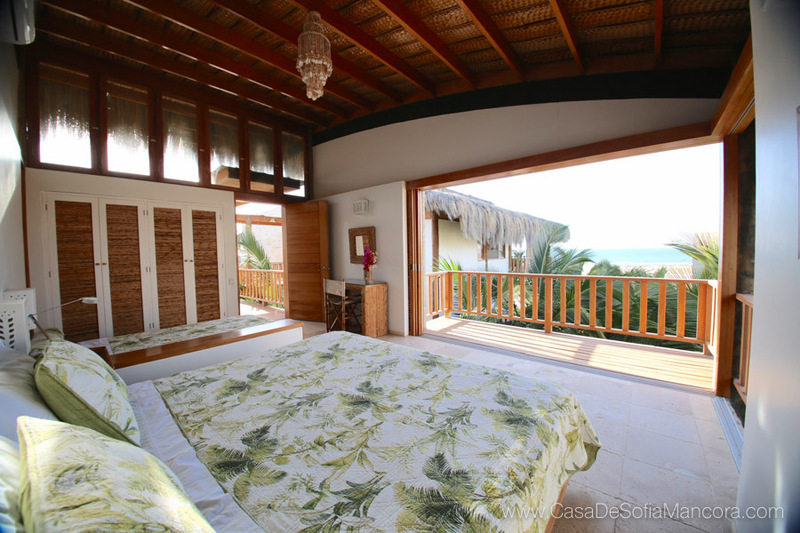 Enjoy your own private balcony off the Master Suite. 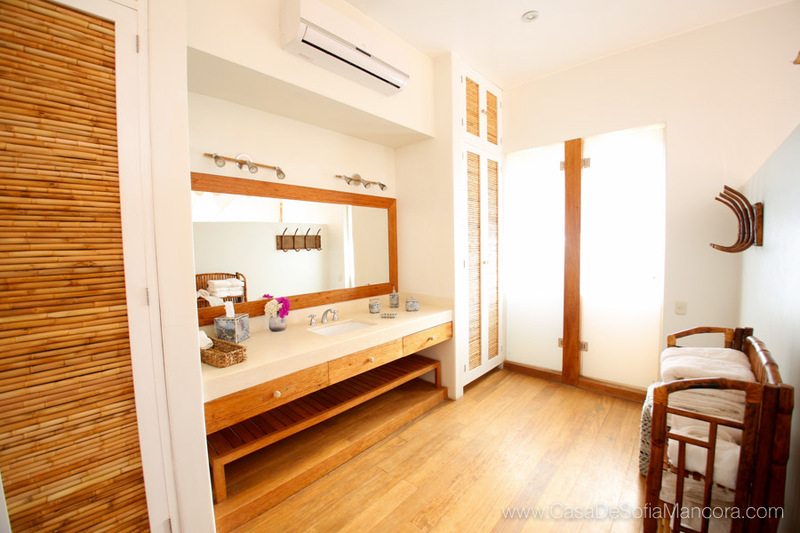 This room features a king sized canopy bed, air conditioning and an attached bath. In addition to a pretty suite view. Accommodates two guests. Life's a breeze in this Ocean View Room. One queen sized bed and one single bed, plus AC and a private bath. 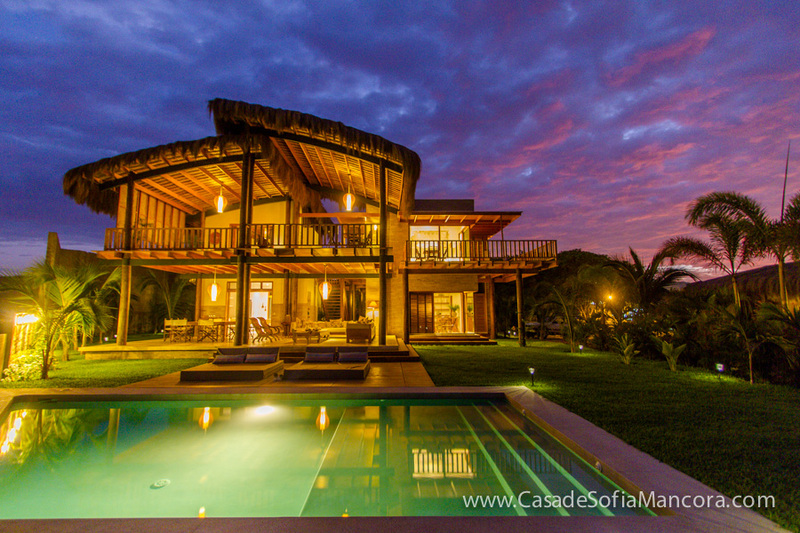 This tranquil retreat fits up to three people. 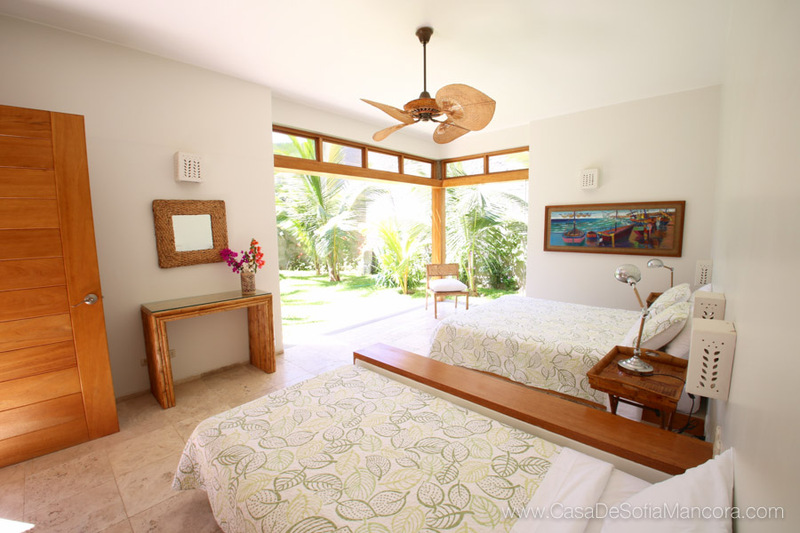 Located on the ground level, this Garden View Room has direct access to the lush landscape surrounding the house. Complete with one queen and one single bed, AC and a private bath. Whether you need just one bunk or all four, the Garden Dorm Room is your most cost effective option. Enjoy good company in this shared space for our lowest price. 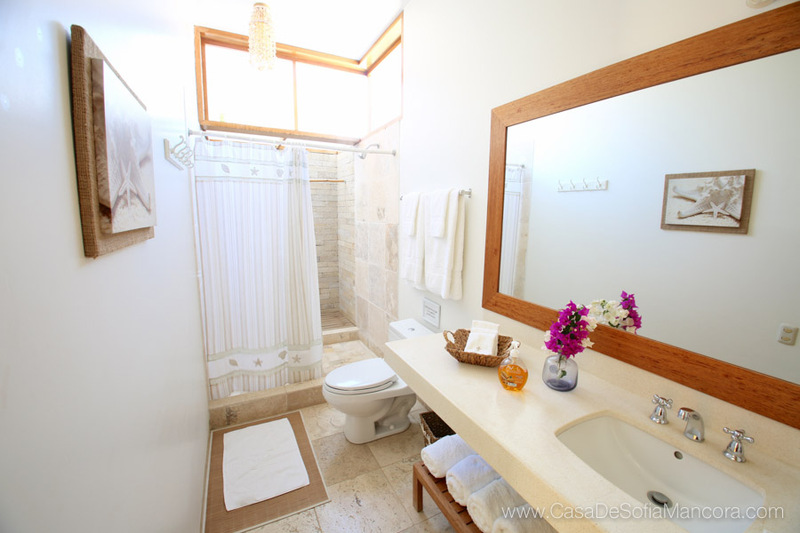 With six bathrooms throughout the house, it's safe to hydrate all day, everyday. Located in a private condominium under 24 hour surveillance, you can have peace of mind while finding your inner peace. Direct beach access, wifi, and a laundry room are just a few added perks. Lounge by the pool with a good read or take a refreshing dip after a long day in the sun. 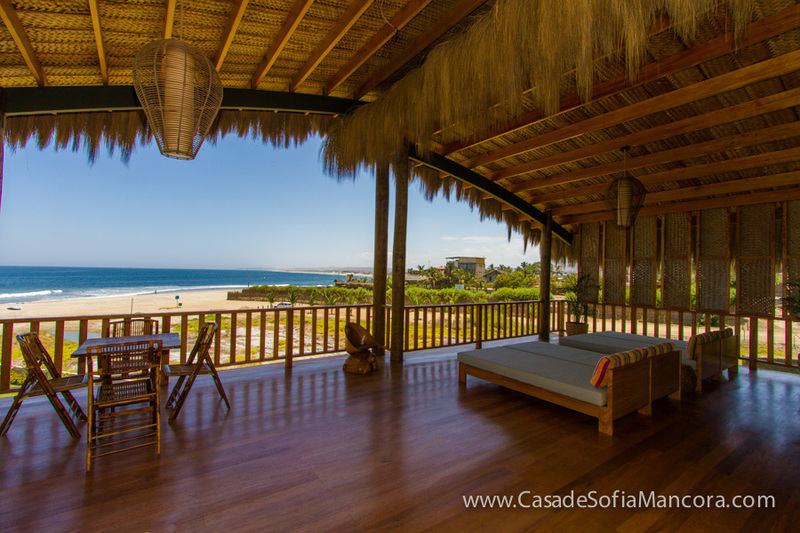 Enjoy daily meditation and guided flows overlooking the Pacific. You won't find views like this in your neighborhood studio. A week intended to reconnect with ourselves and nature... and maybe a few friends along the way. 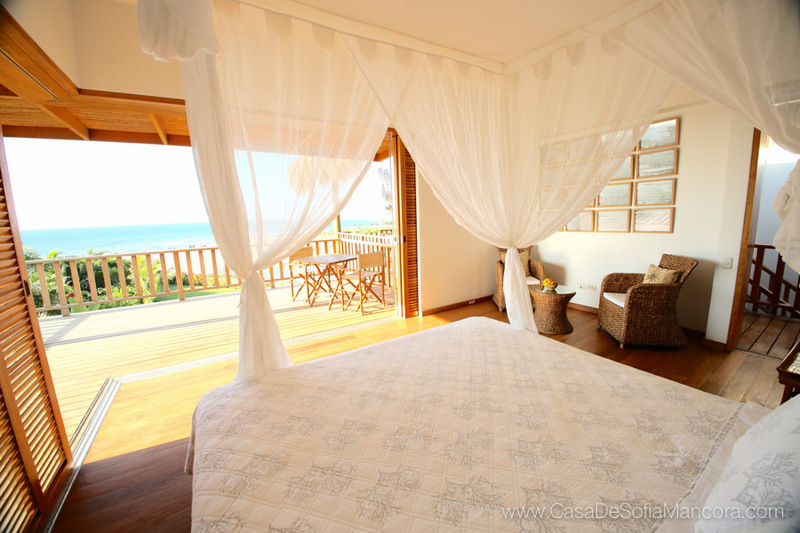 Máncora is known for having waves year-round. So although we can't promise the surf will look like this ^ everyday, we're hopeful. Although flights are not included in the retreat price, we'd be happy to help you coordinate. Please, reach out if you would like a list of recommended flight options. We will be flying LAX - PIU. Memories to last a lifetime. Photos to last forever. Take your yoga practice to new levels of awesome. You’ll leave this retreat feeling healthier, more rejuvenated, and absolutely fulfilled. This retreat is subject to our terms and conditions, by confirming your attendance to this retreat you are consenting to our terms and conditions - please read them before confirming attendance. Read our terms and conditions here.